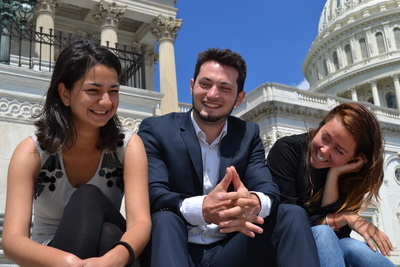 Humanity in Action will bring together 2-4 outstanding students and young professionals to the United States Congress, for a four-month professional fellowship. Fellows will work in the offices of a United States Representative or Congressional Committee for five days a week. In these roles, Fellows take part in a mix of administrative and substantial, policy-based work. During the program, Fellows will have the opportunity to explore a variety of topics concerning contemporary policies and politics from leading policy experts in Washington, DC. Marietje Schaake: Marietje is a member of the European Parliament (MEP) representing The Netherlands. Oliver Skov: Oliver serves as US Correspondent at the Danish Broadcasting Corporation. Jesper Pederson: Jesper serves as a Partner at Rasmussen Public Affairs. He credits the start of his career to the Lantos-Humanity in Action Congressional Fellowship.